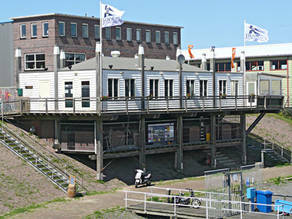 During the winterstop from november until march after opening hours and during the weekend, the Harbour Office is closed. For visiting yacht owners after closing hours it is possible to report at the Clubhuis het Spuigat from friday until monday. Opening hours Clubhouse 't Spuigat on friday at 17.00-22.00u, saturday at 15.00-22.00u, sunday at 15.00-20.00u and monday at 19.00-22.00u.